Dashboard lights have become more common in vehicles over the years. They are a way for our cars to tell us that something is wrong and needs to be fixed. Unfortunately, a lot of car owners still don’t know what those little lights are for or what they are trying to tell us. We are here to shed some light on what those little symbols on your dashboard mean when they glow. Please know that not all cars will have these complete set of lights, as some models have more features than others. The Anti Lock Brake System (ABS) is a safety feature that can keep you from injury in case you suddenly need to step on the brakes while driving. When you see this indicator on your dashboard, don’t take it lightly. It means that there is something wrong with your car’s ABS. There are a variety of reasons for your lights to come on, ranging from dirty wheel sensors to voltage loss. Even when your ABS is disengaged, your regular brakes should be fine, but it is still essential to have your vehicle serviced, so you don’t regret it later. Your brake lights lets you know that your parking brake is engaged. However, if they are still on, even after you disengage the parking brake, it could mean something more serious. Some issues you could be facing include lack of hydraulic pressure or low fluid levels. If this is the case, test your brakes. If there is no brake pressure at all, stop driving your car and have it serviced right away. This light comes on when your car detects an abnormality in the system. It can be something as simple as a loose gas cap, or something more severe like a faulty catalytic converter. Whenever the light is triggered, your vehicle’s onboard computer logs it into the system, and your mechanic can see it when you take it to the shop. Also, if you see your Check Engine Light is flashing, do not drive your car as it could be a warning for a potentially dangerous problem. 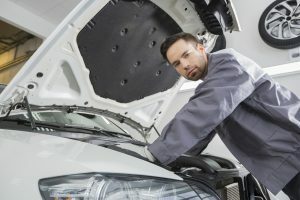 Have your technician check on the vehicle as soon as possible. When you see your battery light come on, it is an indication that there is an issue with your electrical system. Check for loose wires and fix the problem yourself, and if that doesn’t fix it, have a professional check on your car battery. There is a chance that the battery is finally wearing down after years of use, or it could no longer hold a charge properly. What’s more, if you see your battery light come on while you’re driving, keep the ignition running, as there is a chance it won’t restart when you turn off the engine. If this happens, call for a tow and get your battery tested. Engines need to stay at a specific temperature to prevent overheating and damage. If it’s getting too warm, the temperature warning light will come to life. One of the most common reasons for having an overheated engine is a low coolant level. If you see this light come on while driving, pull over as soon as you can, and give your car the chance to cool down. Do not open your radiator immediately after pulling over as it can cause injury. It’s never a good idea to let your engine run very low on petrol before you decide to get a refill. The low fuel light lets you know when it’s time to pull over and get your fill. Some people park their car only to come back several hours later with a drained battery because they forgot to turn off their headlights. The headlight indicator can remind you to turn it off when parking, and to turn it on when driving at night. This lets you know if your car is low on oil pressure. 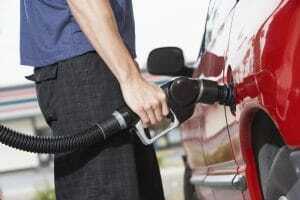 Check your oil levels and add motor oil as needed. If the light is still on, it could indicate a more severe problem, so have it checked out by a professional to avoid more serious problems. An indicator that should not be taken lightly, the airbag light lets you know that there is something wrong with your airbag deployment. It is best to have this checked out as soon as possible so you and your passengers can stay safe on the road. Now that you know a little more about what your car’s lights mean, you can now take better care of your vehicle and enjoy it for years to come. Furthermore, if you’re getting ready to buy a new car to replace your old one, don’t hesitate to contact us here at Alpha Finance, where we make sure you find a payment plan for the car of your choice to fit your budget.